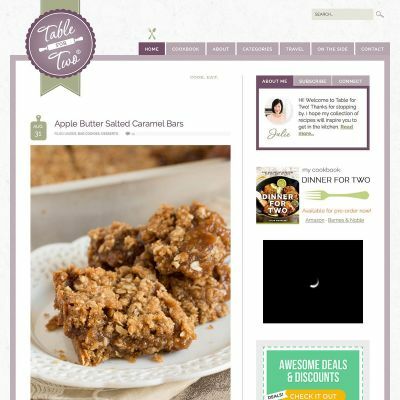 I’ve worked with Julie of Table for Two twice now on different iterations of her blog: the first is also included here as a static preview, designed by Tiffany Kelley, and the newest version was handled by Julie herself! 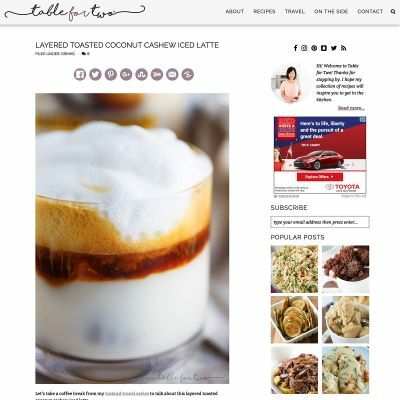 She is such a great client to work with and I dare you to read her blog and try to not get hungry. I know it was a complete and total impossibility for me when coding the project. Everything looks delicious — check it out!